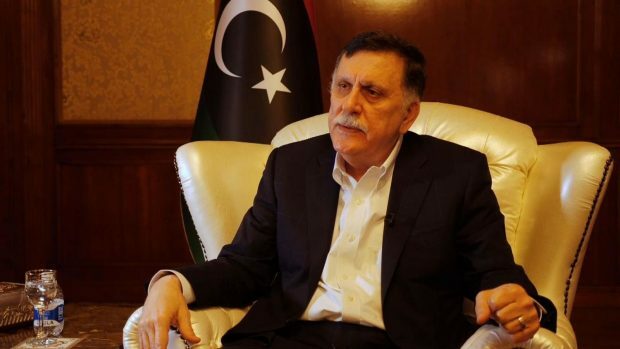 Libya’s Head of Presidential Council has told Sky News that there could be an influx of more than 800,000 migrants from Libya into Europe if the instability in his country continues. Al-Sirraj told Sky News’s Alex Crawford who went to Tripoli for the report that the international community must pressure Khalifa Haftar’s forces and call them by their name and pressure them to go back to where they came from. “Haftar has declared he’s clearing the capital of terrorists, but Al-Sirraj claims this is a thinly-disguised military grab of power.” Sky News reported. “And are all its residents now terrorists? Are Abu Salim residents who were bombed yesterday now terrorists? Or those living in Ain Zara, or Sawani? Are all of these terrorists? Or are these crimes against humanity? Isn’t it time now to call it as it is?” He asked Crawford.